Has anyone apart from NWG seen the photos of Shane? NWG is concerned for his gender. 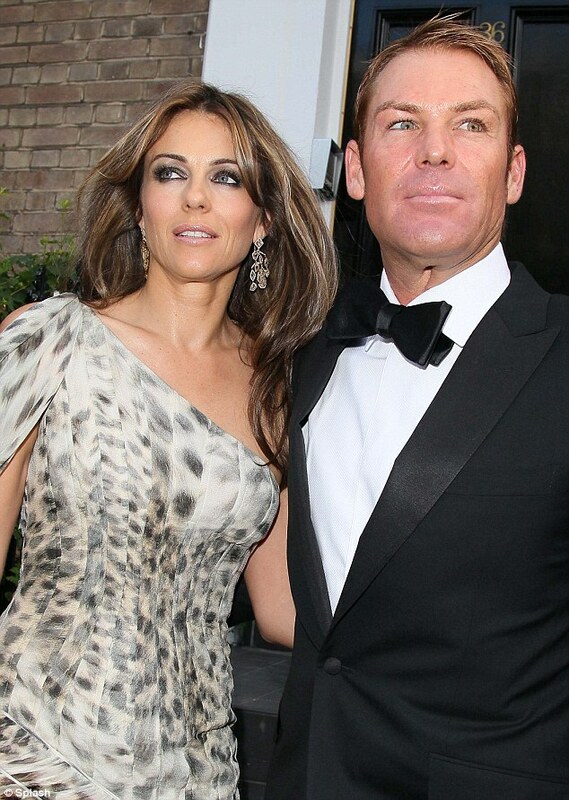 It seems a couple of months with Liz Hurley and a few botox injections changes a man....and not for the good. Cricketers are not supposed to age well. They've spent ten years in the sun, roasting away like a chicken. Their skin is supposed to be crinkled, leathery and wind burnt. Shane - NWG says save yourself. Stop visiting the dermatologist and get back to washing your face with the rain and not La Prairie moisturiser. When your lips are the same colour as the rest of your skin, then something's wrong. picked up your blog on the webring. He reminds me of Data the sentient android from Star Trek. Chinaman! NWG thoroughly agrees, if she knew who Data was....but she's sure you're right. I did leave a link embedded in the comment for you, just in case.